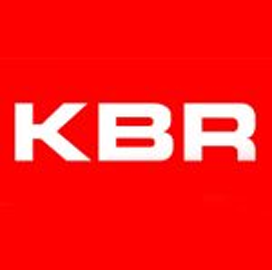 KBR’s government services business has received two contract modifications to extend base operations support services for U.S. Navy facilities in Bahrain and Africa. KBRwyle secured the contract extensions through the Naval Facilities Engineering Command Europe, Africa and Southwest Asia, KBR said Monday. The first modification exercises the first option year of a $441M contract awarded in September 2017 and tasks the company to provide support at Djibouti's Camp Lemonnier and Chabelley Air Field, as well as Camp Simba in Kenya. The extension covers services such as equipment and vehicular management, galley support, air operations management and environmental efforts. The second contract modification exercises the first option year of a $91M indefinite-delivery/indefinite-quantity contract also awarded in September 2017, and requires KBRwyle to perform work at the Navy’s base in Bahrain. The modification tasks KBRwyle to continue work such as security services, facilities oversight, galley support and waste and utilities management. "These extensions are a testament to the confidence the U.S. military has in KBRwyle to continue providing mission critical operations services to U.S. Navy facilities around the world," said Byron Bright, president of KBR's U.S. government services division. KBRwyle previously secured a $62M contract modification to provide base support to the Navy’s Diego Garcia facility in the British Indian Ocean Territory.